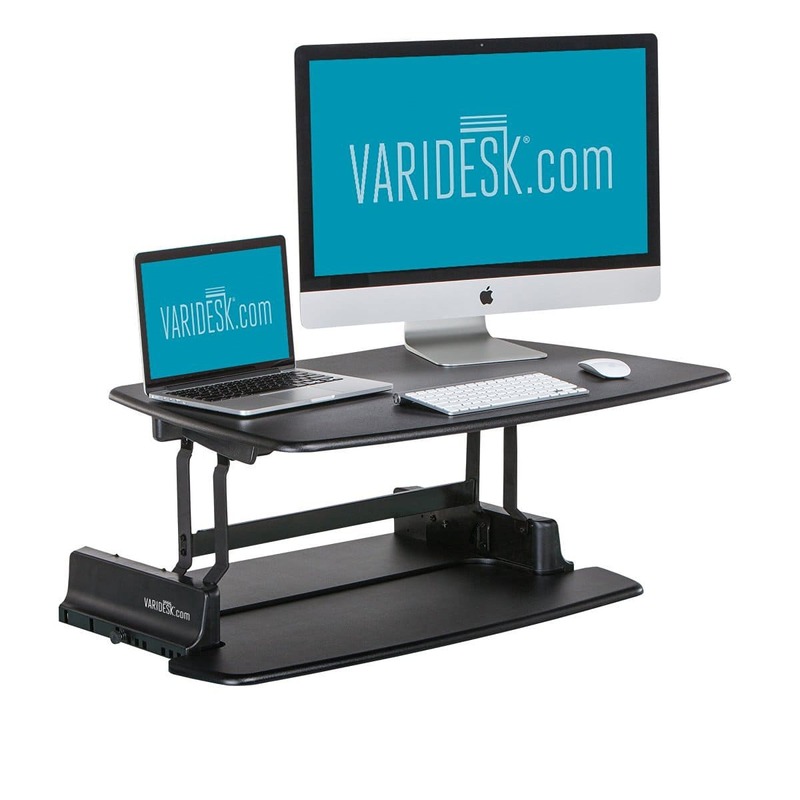 What is Varidesk and will it help reduce back pain when working online? In our unique review we’ll cover this product from a therapist’s point of view. 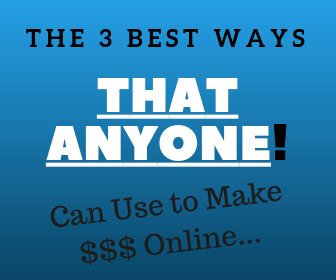 When it comes to working online, most of the time you’ll be seated in front of your desk, staring at a computer screen for hours on end. This can lead to several health problems, one of which is poor posture. Sitting in one place for hours is never a good idea. I always recommend regular breaks to head outside, recharge, and exercise. But not everyone can afford to take a break. And it’s normal to become so engrossed in work that you lose track of time. You might have spent the entire day slouched in your office chair, straining to see the monitor, without even realizing it. This is one of the leading causes of back, neck and shoulder problems. Not to mention eye strain, headaches, & long-term chronic medical issues. Luckily, there are ways to avoid these problems. Maintaining healthy ergonomics while working. Which means having good body position with proper alignment in relationship to the task you are working on. Being able to move and change your position throughout the day. Since everyone is different, there’s no go-to solution that will solve everyone’s problems. 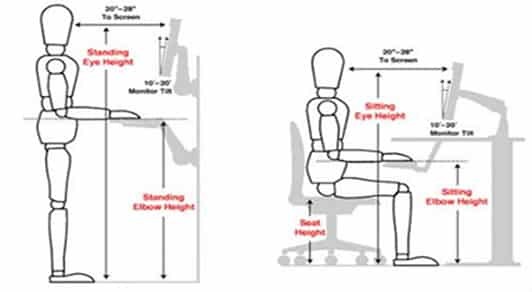 But there are quite a few adjustable desks, chairs, and monitors that can take some strain off of your back, neck and eyes. In today’s article we’ll take a look at one desk in particular, known as Varidesk. Just in: Check out this review on the StandTall Workstation, it offers more adjustments and costs less than the Varidesk. I’ve been using it for 6 months and love it! 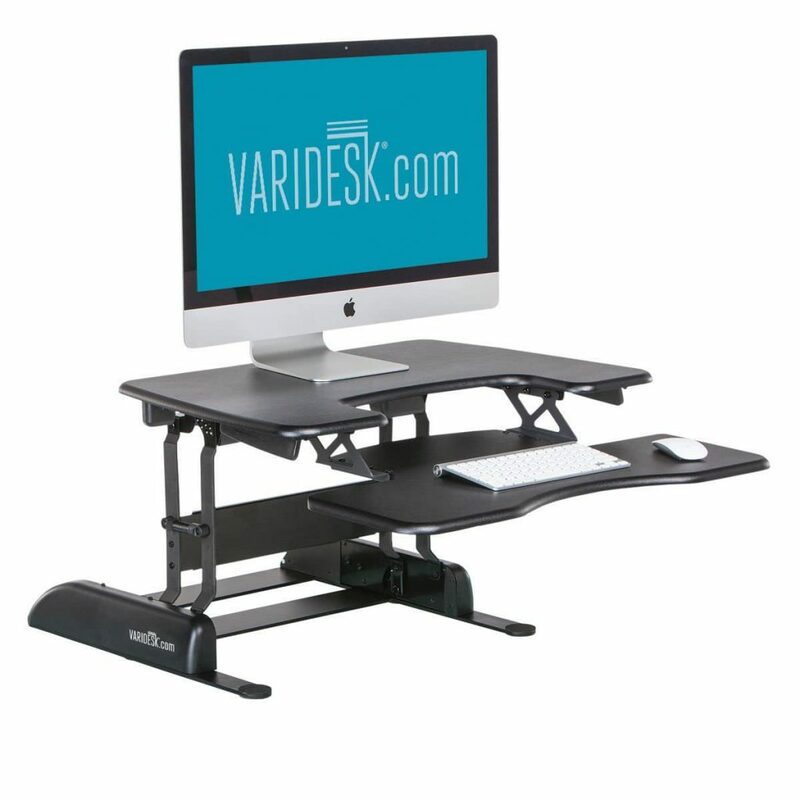 Varidesk allows you to increase the height of your current desk without having to purchase an entirely new desk. The product is placed on top of a regular desk and you can place your monitor, keyboard, and other office paraphernalia on it as you would a regular desk. 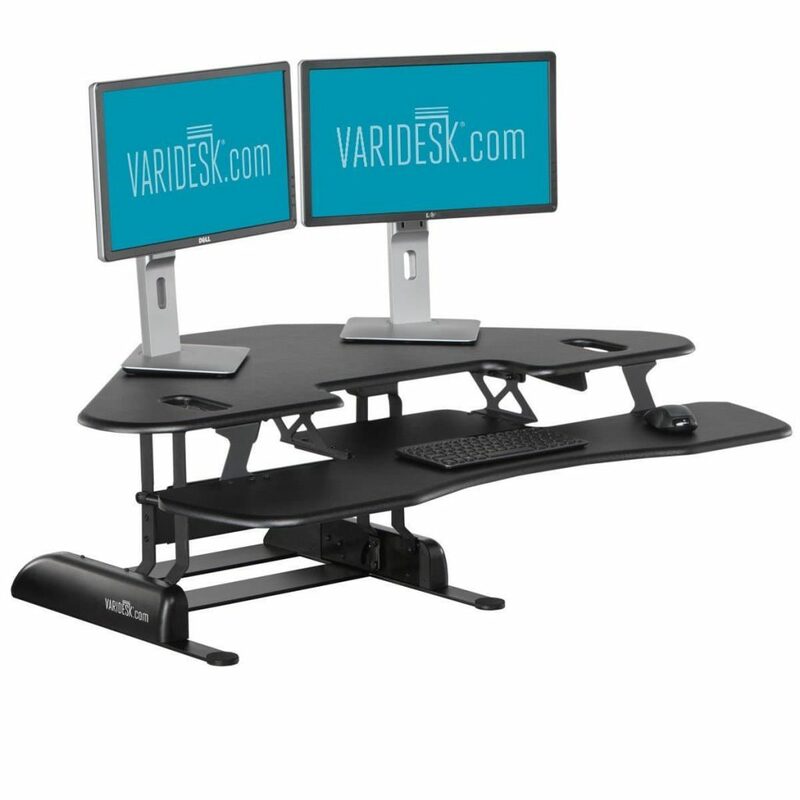 The great thing about Varidesk is that it’s adjustable, two simple levers on the side of the desk can be used to increase or decrease the height. This is perfect for people who work in offices or spend a lot of time looking at their computers screens. Because most of the time you’re looking down at your screen. This makes your neck point downwards, thus curving the spine. This can have a devastating effect on your posture, painful knots can occur in your upper back and neck to generate headaches and upper back pain. Maybe you know what I’m referring too. Varidesk raises your monitor so that it’s at eye-level, there’s no need to slouch or be looking down – so you don’t have to sacrifice your posture. In the long run, it saves you on pain, med bills, and going to therapy. By making a preventative decision to alter your work environment to meet the needs of your body, you’ll have improved the quality of your life. Varidesk does a great job of adapting your environment to do just that. What I like about Varidesk? The product is shipped as-is, there’s no assembly required. You just have to place it on top of your current desk and then place all your monitors, mouse, and keyboard, in their designated areas. Though this desk can be used in a seated position, it was mainly designed for people who wish to continue working while standing. Since spending all day seated can lead to health issues, one thing that you can do to relieve stress is stand up and work. Occupational/Physical Therapy Tip: Standing while working will also encourage you to move a bit more and take some stretch breaks throughout your day. But with most desks this is not possible. Now, when you want to stretch your legs simply push down on the side levers and the desk will rise, locking in place at the desired position. There are different levels to choose from to accommodate people of various heights. There’s also no need to worry about the desk falling over, it’s extremely sturdy and very durable. Even at it’s maximum extended level it doesn’t shake at all. There are several different Varidesk models out there, and in this section we’ll talk about our favorite models. This is the largest Varidesk model and the priciest, ideal for small businesses and office space. The model comes with one platform for all of your office items (keyboard, mouse, monitor, etc) it doesn’t have a separate section for each item. The shipping weight is about 47 pounds and the dimensions are 36 x 27 x 5 inches, no assembly required. The great thing about this model in particular is that the surface space is quite large, enough to fit two 24 inch monitors side-by-side. The maximum extended height is 15 inches, more than enough to level the monitor with your eyes. There’s is no separate keyboard and mouse tray with this model. What I liked most about this model is the size, it’s enough for everything to be in one place. There’s also a 5 inch gap between the product and the desk you place it on, a small area that’s perfect for a laptop or office supplies. This model is slightly cheaper than the previous model and it’s smaller as well. If you only have one monitor and you don’t need a lot of space, this model is perfect for you. It’s ideal for single-monitor setups! The Varidesk Pro 30 weighs about 41 pounds and has the following dimensions: 30 x 27 x 5 inches. This model does include an extendable tray for your mouse and keyboard. It has the same maximum extended height as the Pro 36 at about 15 inches. What I liked most about this model is that it’s small and doesn’t take up much space, it’s perfect for single monitors. This is an interesting desk because it’s designed for cubicle corners. The Cube Corner 48 is mainly for people who work in offices, specifically in cubicles. What makes this desk stand out is it’s size, the surface area is triangle shaped, and can fit two monitors with room to spare. It also includes a lengthy keyboard and mouse tray that covers the entire length of the desk. Though pricier, it does include much more space, and it can snugly fit into cubicle corners. There’s also a small area in the middle of the desk where you can place a laptop or documents. This model has the following dimensions: 33.5 x 48 x 4.5 inches. The Cube Corner 48 Varidesk is unique because not only is it larger than the previous models (and can fit in corners) but it can also extend higher, the maximum extended height comes to around 17.5 inches. So this desk is ideal for people who need a lot of space, work in cubicle corners, and who are slightly taller than the average person. What is Varidesk to me as an Occupational Therapist? An absolute winner for anyone that spends a good deal of time working on their computer. Varidesk corrects the typical posture that harms people who work at a traditional desk. 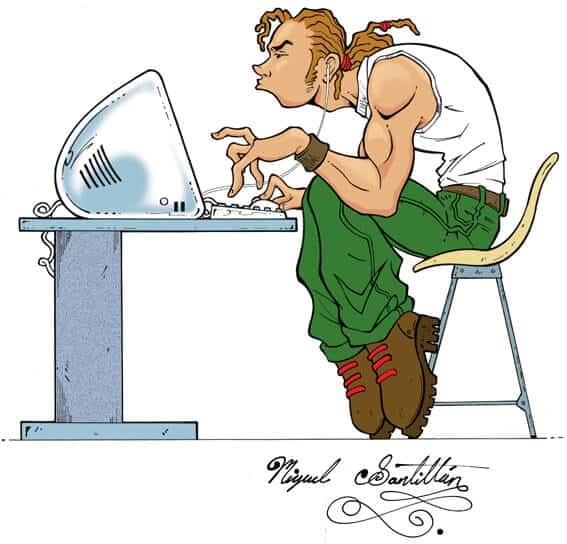 Here’s a quick reference as to how you should site and stand in relation to your computer. This is what you want to achieve working on the computer! 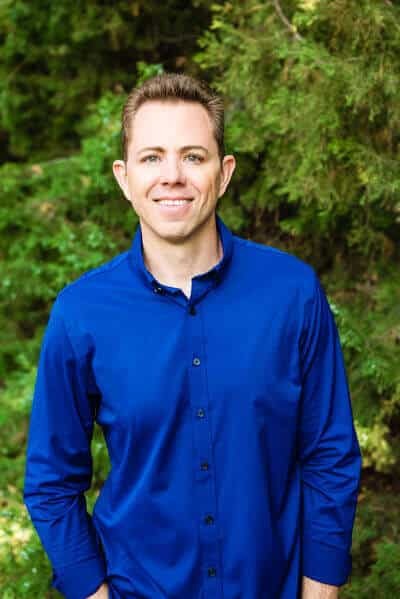 As an Occupational Therapist that’s gone to working predominately online, I have suffered from a few chronic pain injuries. My problem was always looking down on my laptop causing too much chin tuck. This eventually gave me horrible upper back and neck knots that disrupted my life to the point I needed serious intervention. I know how to deal with these issues as a therapist, but they got the best of me. By switching to a Varidesk, I eliminate this chronic problem and improve my online working posture on a daily basis. This pays off huge dividends to your health in the long-run. Varidesk will help you reduce the risk of repetitive stress disorders that lead to long term chronic pain and health concerns. Problems that involve nerve impingement and myofascial pain issues from head to toe. To conclude this Varidesk review, these desks are a little pricey but they do save your back and make it easy for you to avoid spine issues, the investment is worth it. Click Here to See Which Varidesk Model is Right for You..
Let’s also not forget that there’s a life-time warranty on these products, and they’re extremely durable. So now when you work you can raise your monitor to your eye-level so you don’t need to bend your back nor over-tuck your neck (This was my issue). Of course, remember that it’s always important to take breaks as well, stretch, do some basic range of motion of the neck, head, arms, back and legs. A little exercise gets more blood flow to the brain and enhances work performance. It’s a win win solution. 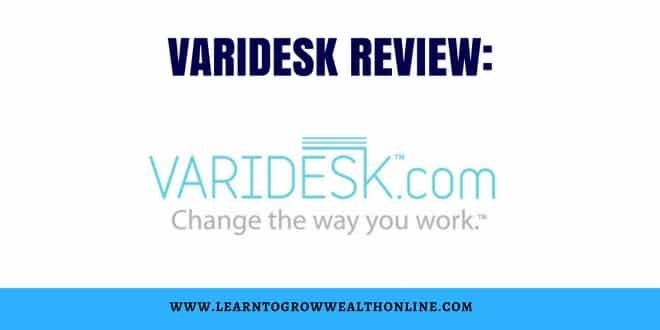 Now you know what is Varidesk and whether this product is right for you. 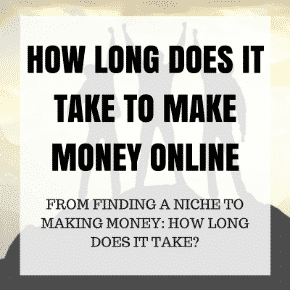 Take a Look at Our 100% Free Online Training Series! Please let us know your thoughts and share this post socially, you might help someone.